Greta Thunberg, the activist who began school strikes over climate change, marched with students in Hamburg. The movement has gained worldwide traction, with tens of thousands of students participating. Swedish climate activist Greta Thunberg joined thousands of students in a Fridays for Future demonstration in Hamburg on Friday. Demonstrators marched through the city center to Rathausmarkt, Hamburg's central square, carrying banners and signs with slogans such as "The climate can't wait," "March now or swim later" and "Make earth cool again!" "It's very big and very fun to be here," Thunberg told DW, adding that the large scale of German Friday for Future protests was a good sign. 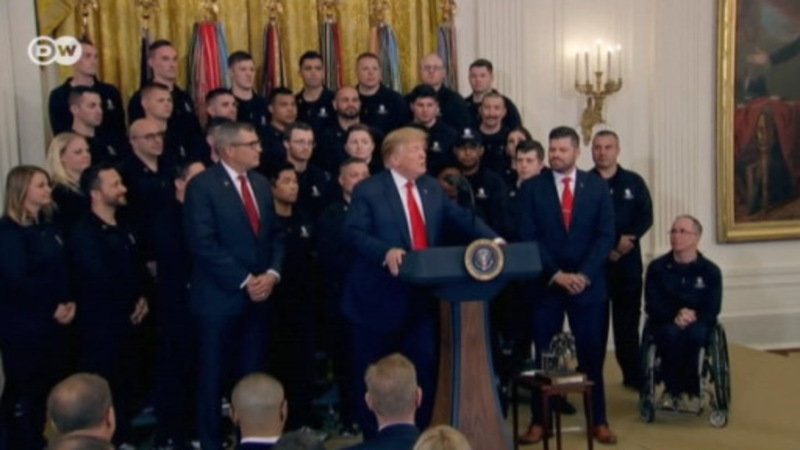 "I am very proud to stand with the German students here because they have made history." Police initially estimated the turnout to be between 3,500 and 4,000 students. Thunberg, who is currently on holidays, has already taken part in demonstrations in Brussels, Paris and Antwerp. She held the first Fridays for Future demonstration outside the Swedish parliament building in August 2018. The movement has garnered worldwide attention, with tens of thousands of students holding Friday protests across the world. In January 2019, 16-year-old Thunberg was invited to talk at the World Economic Forum in Davos, where she told business and political leaders: "I want you to panic. I want you to feel the fear I feel every day." She has since become a visible, if somewhat involuntary, spokesperson for climate protection by pointing out that today's youth — the people who will be most affected by climate change — currently have few ways to hold politicians to account for their lack of action. "I think there is a lot of focus on me as an individual and not on the climate itself," Thunberg told DW. "I think we should focus more on the climate issue because this is not about me ... this is about the climate crisis." The Fridays for Future movement has sparked some controversy, with some German politicians stating students should protest during their own time. "Nobody is going to make the world a better place by skipping school," Hamburg's top education official, Ties Rabe, said on Twitter. Earlier in February, North Rhine-Westphalia Education Minister Yvonne Gebauer sent letters to schools reminding them that students were legally required to attend classes and that if they didn't, they could face forced attendance, administrative offense proceedings and even expulsion from school. In Berlin, thousands of students have gone on strike for another Friday to demand more action from political leaders on climate change. 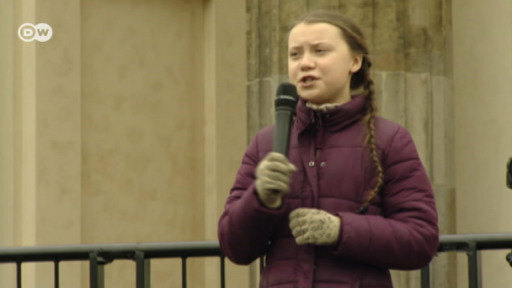 This time they were joined by Swedish climate campaigner Greta Thunberg, who inspired the Fridays for Future movement.